H & I Garage Doors specializes in overhead doors in Laredo, TX. Our experienced team will help you find the best solution for overhead doors for your home or business. Our team also offers garage door repair for broken doors. Garage doors offer security and convenience for home owners and businesses. Businesses use overhead doors for everything from large access to warehouses & storage areas to loading and unloading goods. Homeowners mostly use garage space for storing vehicles or other large items. Automatic garage doors are the most convenient doors. They require no manpower to open and they can usually be controlled remotely. We have a variety of garage doors available for businesses and homeowners. 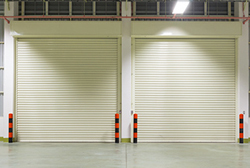 Our commercial overhead doors come in a wide range of sizes to fit effectively in any door size. Our experts will find you the right doors to fit your needs. Each member of our extensively trained service team is here to help you with your next commercial or residential project. We are conveniently situated at PO Box 440416 Laredo, TX and have been exceeding customer expectations for over 15 years now! We specialize in garage door repair! We are garage door repair specialists. We believe in educating our customer before helping them make an informed decision on any repair or maintenance job. We have reasonable prices and want our customers to leave 100% satisfied. We can even fix your garage door or door opener when they malfunction. We offer a full line of garage door openers, with traditional chain drives, as well as the quieter belt drive models. Our door specialists will help you determine which opener works best for your home or business. We have a complete line of residential garage doors which includes traditional steel garage doors, aluminum garage doors, wood garage doors, carriage style garage doors, fiberglass garage doors, vinyl garage doors and insulated garage doors. H & I Garage Door is here to help you select your new residential garage door. It's our foremost goal to present all clients with the finest garage door repair service at the most affordable rates. Each member of our staff is prepared to fit an innovative garage door to the exact specifications of your current home or business. These technicians are completely adept at installing and maintaining just about any sort of garage door. No matter the size or scope of the job, we have you covered every step of the way! At H & I Garage Door, we know how important it is that your commercial garage door system is functioning properly at all times. When it fails, loss of business and security issues can occur. We offer a full range of doors products and services for your warehouse, store, school, church, hospital, or restaurant. H & I Garage Doors also offers a full range of door products and services for manufacturing facilities, industrial complexes and specialty applications. 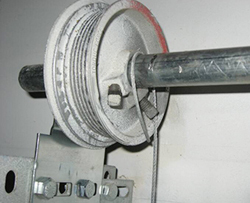 Let us tailor a preventative maintenance program for your door needs, that will keep your facility running and lower your overall cost of repairs. Please contact our office and we will gladly assist you in your needs. We also specialize in overhead doors. Your overhead garage door is an important part of home or business architecture. With a large selection, we are sure to have the overhead doors to make your home distinctive and unique. Please contact us at 956-379-6425 or 956-242-7191 or stop into our Laredo, TX office. Our hours of operation are 8am-5pm Monday thru Friday. We accept cash!